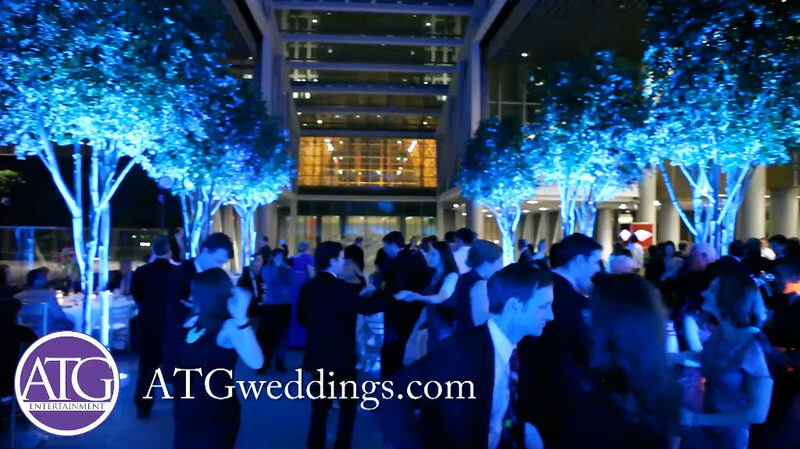 Ritz Carlton Charlotte was the perfect setting for a wedding in the city! 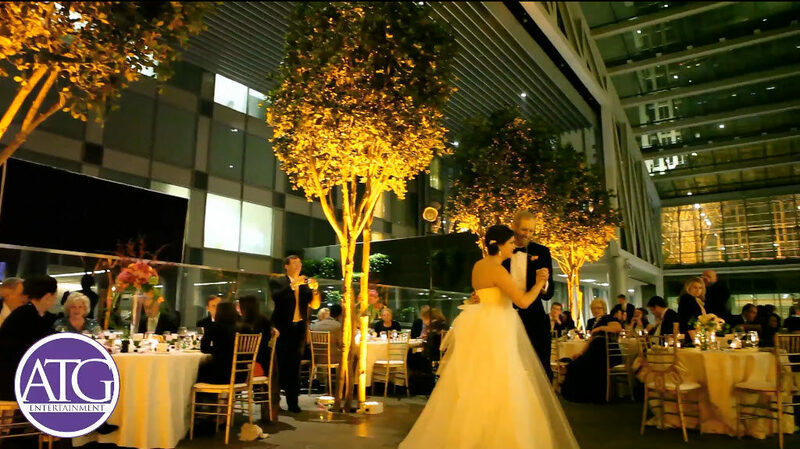 Tripp and Evelyn Cone celebrated with family and friends at the Urban Garden in the Bank Of America Corporate Center. 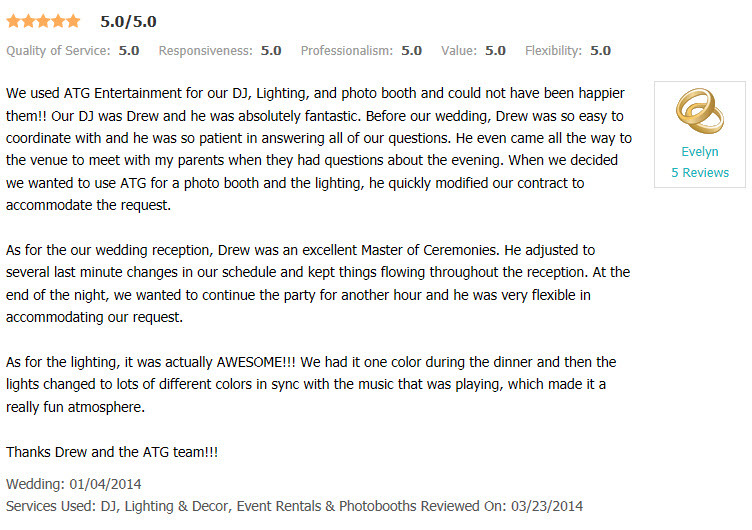 Drew Parham with ATG Entertainment provided Audio Production, Light Design, and a Photo Booth. Drew acted as Tripp and Evelyn’s MC for the evening as Chris Thornton handled the DJ side of things. ATG’s UpGlow To Go service was the talk of the evening amongst the guests as the colors in the trees were an awesome sight to see. Ashley Culicchia Cash, award winning wedding planner from The Graceful Host (www.gracefulhost.com), was charming and had the room looking amazing. Special thanks to Christin Kruczek and her staff with The Ritz Carlton for their top notch service and attention to detail. One of Charlotte’s most sought after wedding photographers, Julie Phillips Staley (www.oldsouthstudios.com) captured every moment of this fun-filled night. Congratulations Tripp and Evelyn! ATG had a fantastic time working with Tripp, Evelyn, their family and friends, as well as all of the wonderful vendors that had a part in making this amazing day so special.